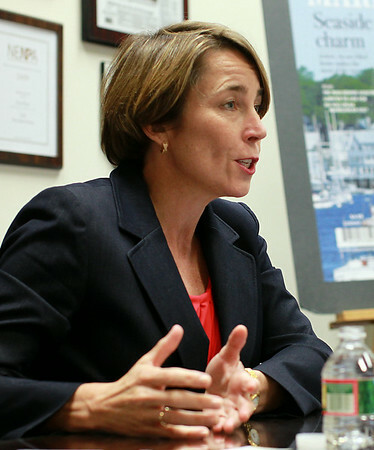 Maura Healey, Democratic candidate for Massachusetts Attorney General, speaks in the Publisher's Conference Room at the Salem News during an editorial board meeting on Friday morning. DAVID LE/Staff photo. 8/15/14.